Ireland is 87% Catholic: The Vatican could have prevented the pro-BDS vote in Ireland the same way it might have prevented the Holocaust. During World War II dozens of Catholic Priests joined the Nazi Party. 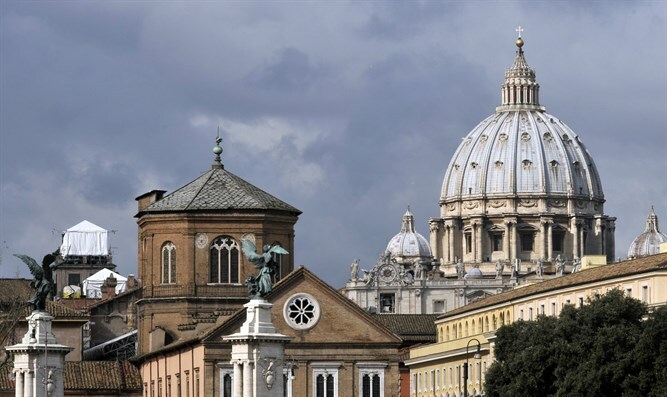 After the war, the Vatican helped SS officers escape providing them false documents and an escape route through the "Vatican's ratline". representatives without the support of the Zentrum political party which was controlled by the Catholics. As the spiritual leader of Catholics worldwide, the Pope had influence over German Catholics and he could have asked them not to support Hitler's reform of the constitution. Without the support of the Zentrum political party Hitler would not have been able to modify the constitution and obtain dictatorial power, without the support of the Zentrum political party dominated by Catholics the Holocaust could have been avoided. (to learn more about this please see the documentary "The Vatican and the Third Reich: An unholy Alliance" directed by Juliette Desbois"
The same way that the Vatican could have used its influence in Germany in 1933 it could have used its influence in Ireland (where 87% of the population is Catholic) to prevent the anti-semitic BDS vote. On January 24, 2019 Arutz Sheva reported that "Israeli foreign ministry officials excoriated Ireland’s backing for a bill banning business ties with Jews in Judea, Samaria, and parts of Jerusalem, delivering a sharp reprimand to the Irish ambassador to Israel." “It was made clear to the ambassador that this hypocritical and anti-Semitic legislation will have serious consequences for Israeli-Irish relations and [Ireland’s] standing in the region if [the bill] is advanced,” the Israeli Foreign Ministry said Friday. To the question of whether the Catholic Church still has enough influence to have been able to prevent the BDS vote, a survey published by the Irish Catholic Bishops'Conference in 2010 reports that "In the 1970s, regular Mass attendance (meaning weekly) for Catholics in Ireland was recorded at between 88% and 95%. In the 1980s, this figure remained relatively stable until the later part of that decade when it dropped below 80%. Since the early 1990s, there have been significant changes to the composition of the group of people who go to Mass weekly. The European Social Survey data from 2006 recorded a weekly only Mass attendance figure of 43% of all Catholics in Ireland. This figure rose to 56% of Catholics when those who attend more often than weekly were included..." A high percentage of the Irish population continue to attend Mass weekly, and the Catholic Church does have a strong influence on people who attend Mass regularly. Recently the World Council of Churches (WCC). (which includes the Catholic Church) has been training thousands of BDS activists. On January 14, 2019 Lahav Harkov reported in the Jerusalem Post " The World Council of Churches (WCC) is training volunteers to promote boycotts of Israel and engage in antisemitic rhetoric...The WCC flagship project – Ecumenical Accompaniment Programme in Palestine and Israel (EAPPI) – has sent 1,800 “ecumenical accompaniers” from around the world to serve as observers in the West Bank and Jerusalem over the past 15 years, and aim to have 25 to 30 of these unofficial observers on the ground at all times. This is the only program of this kind run by the WCC." The WCC initiative is anti-semitic because no similar program is run other places for example in Chinese occupied Tibet, among other things the WCC teaches that "Zionism is Racism". And that is not all. 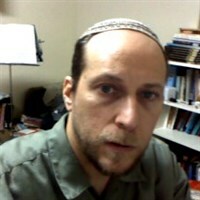 Giulio Meotti, writing for Arutz Sheva, exposed the insidious anti-Semitism of WCC in 2013 for its attempts to erase all connection between the Jews and the Holy Land: and what he called a "Christian Fatwa" against Israel. "This kind of “odium fidei,” or religious hatred, which manipulates the Scriptures against the Jewish people, reminds one of Adolf Hitler, who instructed a group of theologians to rewrite the Bible in a bid to remove all mention of the Jews." After the Inquisition and silence during the Holocaust the Vatican is now continuing its war against the Jews, this time by training BDS activists and influencing anti-semitic BDS legislation in Ireland. Catholic Irish Politicians hear in church that "Zionism is Racism" and then support BDS legislation. Ezequiel Doiny is author of "Obama's assault on Jerusalem's Western Wall".